This has nothing to do with MOTOTRBO but I thought I would post it as a reference for future use. Many GP; GM; CP and CM series radios are entering the used market now, because most organisations have refreshed their radio fleet and because these models are discontinued (so supporting them will soon become difficult). All PCs currently sold, do not have a built-in serial port, and although the CPS for the above radios will still operate on Windows 10 (with sometimes a little tweaking), I still sometimes get asked to help with problems related to programming these (old) radios - specifically problems relating to reading and writing. The RS232 standard defines +12V as binary 1 and -12V as binary 0, however some computer manufacturers do not adhere to this. Also, many el-cheepo USB-to-Serial hardware vendors don't observe this either. In an old-fashioned desktop PC, the -12V and +12V on the serial port is derived from the switched mode power supply. In a laptop, -12V is generated internally using different methods. A USB-serial adapter has to use the 5V rail on the USB port to generate these voltages and most fail miserably at doing this. Practically, only -7/0/+7V is often possible and this is done at an extremely low current. The above radios were programmed using a programming cable and RIB. The RIB would convert the RS232 levels from/to TTL levels (0/5V). When the GP and GM series radios were launched back in 1998, Motorola also offered so-called RIBless programming cables. These cables worked well when used on a PC with a built-in RS232 port. These RIBless cables essentially had the same hardware that was in a RIB, built into the D25 housing, using SMD components. When USB-serial adapters started being used, this is when I started seeing some problems. The low voltage and current the USB-serial adapters produced weren't enough to power the RIBless cable. Not all of them done this and some experimentation was needed to find a good one. Unable to read and/or write the radio. Unable to install the software driver. Codeplug gets corrupted when writing up upgrading a radio. At one time, we (at work) had a list of known good USB-serial adapters - these are all no longer available. I'm using an PCI Express card for my laptop that was bought some years ago from Sharaf DG in Dubai (back in the day, when I used to go there). How do we check the connection or find the root cause? A small tool was included with the GP/GM300 series CPS. Nobody really knows about it, but it's a useful tool to check the PC-to-radio connection. 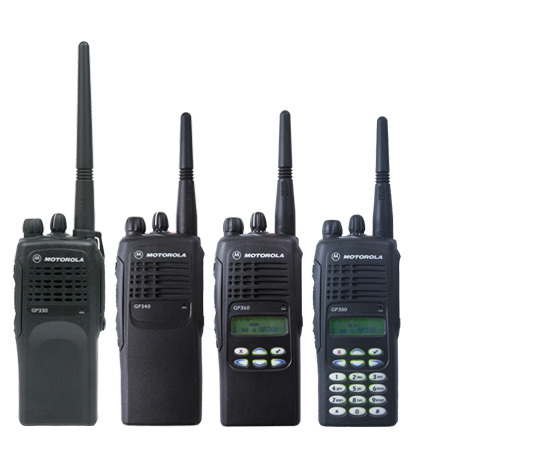 It only works with the GP; GM; CP and CM series radios - no Astro or TETRA. This tool is known as ComTool and I'm sure you can find it on the internet. It works with radios from all regions! To use it, connect the radio to the PC and programming cables. Make sure the radio is powered on and start ComTool. A popup will appear prompting you for the COM port to use. Select the COM port to which the radio is attached and press Connect to Radio. There will be a few seconds delay while the tool interrogates the PC and radio. If the connection is in order, ComTool will provide certain information about the connected radio. If there was a problem, ComTool will give an error message and offer suggestions to connect it - follow these suggestions and try again. If the connection was good, ComTool will ask if you want to email the results to Motorola, when you click on OK. You can skip this if you want but ComTool then creates a log file which shows some extra information that would have been used by engineering to identify a problem. The contents of the log file are mostly self-explanatory and you can have a look using a Windows Notepad or Wordpad.